Aglukkaq responded by changing the topic. Leslie recommended that the federal government should “quit stalling” in addressing climate change. “After seven years of the government’s broken promises to introduce greenhouse gas rules for the oil and gas sector Canadians are still waiting,” Leslie said. David McLaughlin, a former senior Conservative government staffer who later led a federal advisory panel on the environment and economy, said any delays in action would increase economic risks. The latest comments coincided with a new international report – released by the Global Commission on the Economy and Climate – that concluded countries could expand their economies by reducing carbon pollution. 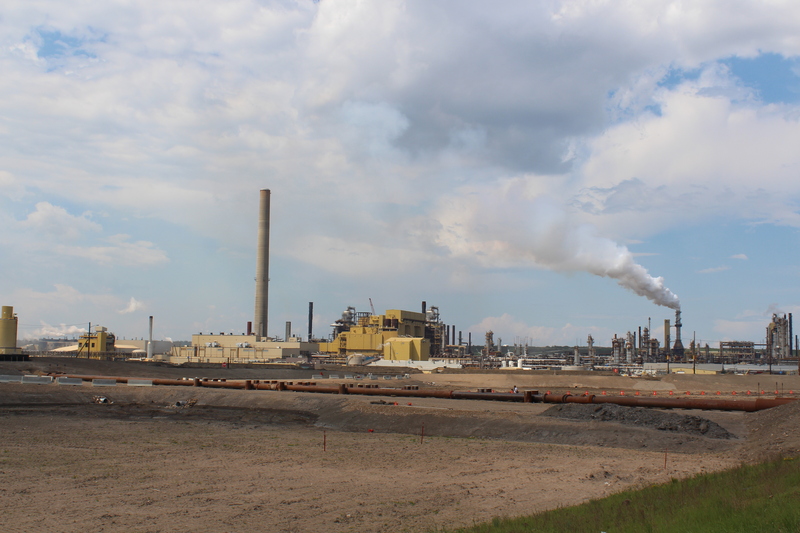 Environment Canada estimated earlier this year that greenhouse gas emissions from the oilsands increased by 307 per cent between 1990 and 2012. The carbon emissions were projected to grow a further 61 per cent before the end of the decade. Scientists estimate that humans must reduce global emissions by up to 72 per cent in order to meet an international target, under the 2009 Copenhagen Accord, of preventing global warming of more than two degrees Celsius. In a written statement, Environment Canada confirmed that the group working on oil and gas regulations had stopped meeting in March 2013. He added that it would be “premature” to comment specifically about what the group was examining, since the regulations were still under development. Former environment minister Peter Kent had said in February 2013 that the government was “very close” to finalizing the oil and gas carbon pollution rules. Who was on the committee? Representatives from three oil and gas companies – Cenovus, CNRL and Suncor as well as the industry lobby group – the Canadian Association of Petroleum Producers were on the committee along with representatives from the Alberta government and Environment Canada, which was leading its work. How do we know about the committee? The existence of the committee of industry and government representatives – created to write rules for industry – was a secret until it was uncovered through records released under access to information legislation. When was it created? According to internal records, the committee was created in the fall of 2011 and met approximately once every four weeks, until March 2013. What was it working on when it stopped meeting? According to internal federal and provincial records, the committee had studied a series of options for new regulations. Responding to questions from the Toronto Star, the Canadian Association of Petroleum Producers vice president of policy and performance, Alex Ferguson, said it has “consistently” advocated for “balanced carbon policy” that consider the views of investors or would-be investors. “We believe that government(s) need to move forward on this topic, and we have consistently advocated that they do so with careful and thorough consideration of all consequences – intended and unintended,” Ferguson told the Star. At that time, David Daly, the director of fiscal policy at the Canadian Association of Petroleum Producers argued that tougher rules wouldn’t likely stop critics from asking companies to do more to reduce their climate change footprint. The environmental lobby group blames the industry lobbyists for derailing the talks. Stewart said that the toughest proposal on the table from Alberta would tackle part of the increase at a cost of less than $1.00 per barrel of oil, “which is a very small drop in a very large bucket,” he said. This entry was posted in climate change, oil and gas and tagged Alex Ferguson, Canadian Association of Petroleum Producers, Canadian Natural Resources Limited, CAPP, Cenovus, CNRL, Conservative Party of Canada, Copenhagen Accord, David McLaughlin, Environment Canada, GHGs, Global Commission on the Economy and Climate, greenhouse gas emissions, greenhouse gases, Greenpeace Canada, Keith Stewart, Leona Aglukkaq, Megan Leslie, NDP, New Democrats, oil and gas companies, oilsands, Stephen Harper, Suncor, tarsands, Toronto Star, United Nations Framework Convention on Climate Change by Mike De Souza. Bookmark the permalink.